It’s been a long, circuitous journey for Jack Langworthy (US’03)—from a remote village in East Africa’s Rift Valley to the high-tech environs of greater Silicon Valley. Eventually, he hopes to make the return trip to Tanzania, equipped with new skills, know-how, and financing from a unique business incubator program. Expa Labs is the brainchild of Uber co-founder Garrett Camp and is supported by a handful of other über-successful (pun intended!) entrepreneurs—Hooman Radfar (AddThis), Naveen Selvadurai (Foursquare), Milun Tesovic (Metrolyrics), and Roberto Sanabria (Google, LinkedIn). The program provides working space; seed funding of $500,000 for a 20 percent stake in the company; and time and input from Expa founders as well as a team of “experts in residence.” The six early-stage entrepreneurs and their core teams spend six months on site (at locations in New York or San Francisco) and receive help with designing, building, launching, and scaling up innovative, tech-based products and solutions. According to Langworthy, the Expa team “appreciates the fact that NINAYO is a social enterprise—but one with a strong business case. 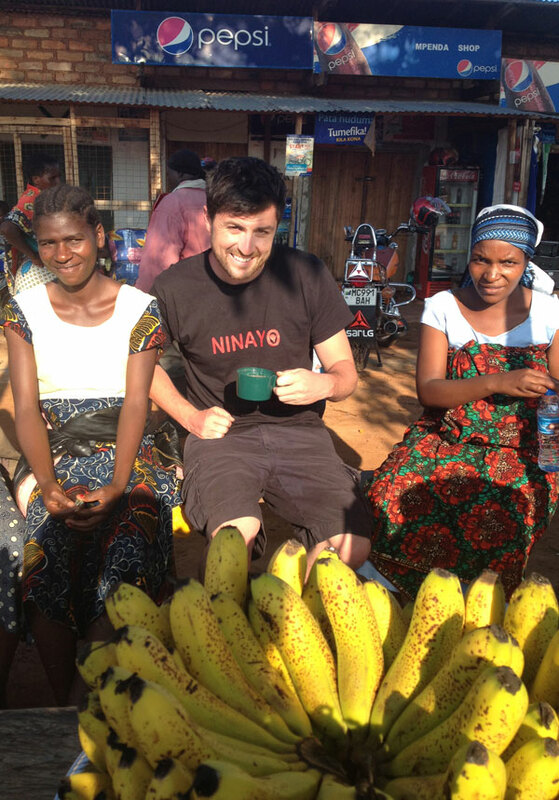 They get that I want to build a sustainable African business.” The idea for NINAYO grew out of his experience as a Peace Corps volunteer in remote southern Tanzania. While teaching physics and math to students in a village school, learning Swahili, and fending off the occasional visiting cobra, Langworthy also found time to consider why local farmers remained trapped in poverty, despite their hard work and productivity. Along with a Tanzanian friend, he identified a variety of market asymmetries and inefficiencies in information, resources, communications, transportation, and supply and demand. After his 27-month Peace Corps term, he worked for a local social enterprise focused on helping farmers capture a greater share of the value chain. While microloans and other support helped, there were many challenges to coordinating the movement of farmers’ produce and inputs, and Langworthy realized that more was needed. “I continued to obsess about how to improve food security and trade in Tanzania,” Langworthy says, while he completed an MBA program in Denmark and then worked for IKEA in Sweden. (He also holds a BA in philosophy from St. John’s College in Santa Fe, New Mexico.) Teaming with an IKEA colleague and his brother—and inspired by the simplicity of producer-buyer relations on such sites as Etsy—Langworthy designed a simple website to enable farmers and buyers to communicate directly. He got the word out in Tanzania through a network of friends and Peace Corps volunteers: farmers signed up, the maize harvest took place, and trades between farmers and buyers poured in, providing higher prices to farmers. On a subsequent research trip to Tanzania, Langworthy found that NINAYO was “disrupting a massively inefficient industry; attracting and supporting people who had never been online before; and dramatically improving lives”—all by offering a simple product designed specifically for the needs of micro or subsistence farmers. However, reliance on volunteer time and basic technology limited outreach. Deciding that expansion and financial viability were essential to having a meaningful, long-term impact, Langworthy flew to California, seeking venture capital in Silicon Beach and Silicon Valley. Almost as an afterthought, he completed an online application to Expa Labs. A few months later, having returned somewhat dejectedly to Sweden, he found an urgent message from his mother in New Mexico: someone from Expa Labs had called and wanted an interview with Langworthy right away. Things moved very quickly after that. Now, Langworthy and a software engineer he hired work together daily at Expa Labs. “I love how being here makes me raise the level of my own game,” Langworthy observes. “These are people who’ve built world-changing companies more than once, so I get really good insights on product development.” For instance, he’s already planning to incorporate Camp’s advice about “ratings”—drawn from the way drivers and users rate each other on Uber—into a system where buyers and farmers can rate each other on NINAYO and thus build up a business reputation. Another thing Langworthy is enjoying about life on the West Coast is being able to connect easily with friends from his Principia Upper School days. “That’s where I made the best friends of my life—and I’m in touch with some of them every day,” he says. Langworthy’s time at the Upper School got off to a rough start; he was expelled as a freshman. “But what I love about Principia,” he says, “is that they gave me a second chance—and I ended up having an amazing high school experience.” In fact, he became senior class president, gaining leadership experience that has served him well ever since.